In this competition, a lot of design ideas are collected and some winning works can be commercialized. This time, the winning work in 2015, 「Ukiyoe puchipuchi」will be commercialized. To date, a total of 16 works have been turned into events or commercialized products. 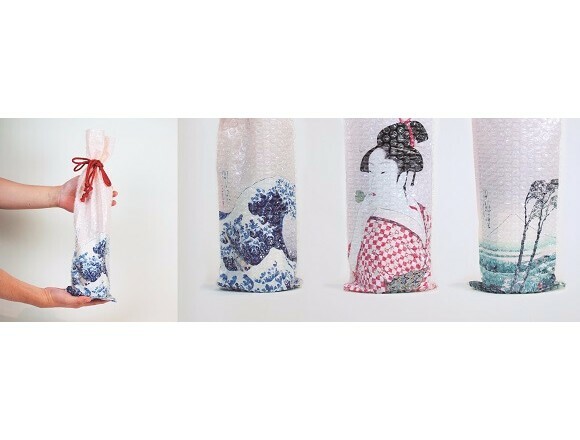 Ukiyoe puchi puchi(R) won the semi-grand prix from among 1,316 entries　in the design competition held with the theme of “hospitality” in 2015. In the begging of 20th century, Japanese people surprised Europeans by exporting ceramics using cushioning material that had “ukioe” designs on them. This is a product where ukiyoe has been printed on bubble cushioning material. It is perfect for the wrapping of alcohol bottles. 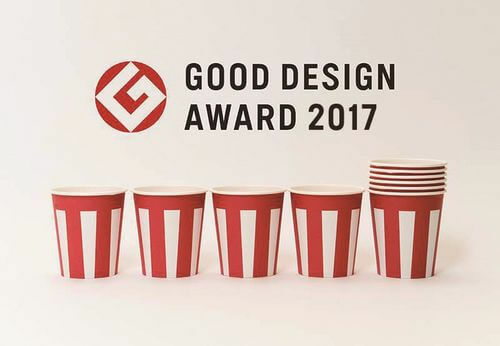 “Omedetai paper cup” received the Good Design Award in 2017. It was commercialized in March of this year. Stay tuned for the next commercialized items!